The legacy of women’s golf at French Lick Resort was on full display this summer with the Senior LPGA Championship presented by Old National Bank, the first ever senior women’s major championship, and the Symetra Tour’s Donald Ross Classic at French Lick. The week-long celebration of women’s golf was such a success for both women’s golf and the primary charity, the Riley Children’s Foundation, that French Lick Resort moved quickly to set the dates for 2018. The Senior LPGA Championship, won this year by Trish Johnson, will be contested next year October 15-17, 2018 while the Symetra Tour’s Donald Ross Classic at French Lick will be played July 12-14, 2018. The Senior LPGA Championship is part of a five-year commitment with the LPGA Tour and televised on Golf Channel. A field of 81 players, featuring a collection of past greats in the women’s game including LPGA Hall-of- Famers, current LPGA members and major champions over the age of 45, will compete on the spectacular Pete Dye Course. The 54-hole event offers a total purse of $600,000. The Symetra Tour’s 54-hole tournament played on the Donald Ross Course will have a purse of $200,000. The history of women’s golf at French Lick dates back to 1957 where Louise Suggs captured the French Lick Women’s Open on the historic Donald Ross course. A few years later the LPGA Championship was brought to the historic site. In 1959 Betsy Rawls won the LPGA major followed by the legendary Mickey Wright winning the title in 1960. In 2013, the resort hosted The Legends Championship on the Pete Dye course and opened up the LPGA Legends Hall of Fame. In 2018, the resort will add yet another chapter to women’s golf with these elite and historic players returning. About the LPGA: The LPGA is the world’s leading professional golf organization for women. Founded in 1950 and head- quartered in Daytona Beach, Florida, the association celebrates a diverse and storied membership with more than 2,300 members representing 30 different countries. With a Vision to inspire, empower, educate and entertain by showcasing the very best of women’s golf, LPGA Tour Professionals compete across the globe, while dedicated LPGA Teaching and Club Professionals (T&CP) directly impact the game through teaching, coaching and management. The Symetra Tour consistently produces a pipeline of talent ready for the world stage. Follow the LPGA on its television home, Golf Channel, and on the web via: LPGA.com. About French Lick Resort: French Lick Resort is a $600 million historic restoration and casino development spread dramatically across 3,000 scenic acres. It encompasses both the French Lick Springs Hotel and the West Baden Springs Hotel, which have been fully restored to their original sophistication and luxury, combine for 689 rooms and are located about one mile apart. The casino, built adjacent to the French Lick Springs Hotel, opened in 2006. West Baden Springs, with its spectacular massive dome, opened in 2007 after having not been used for its original luxurious purpose since 1932. Other facilities and amenities at this world-class golf resort destination include two spas with a 36 treatment rooms (they continue to offer the Pluto Miner- al Springs bath), over 51,000 square feet of gaming space, 165,000 square feet of meeting space and a variety of dining and entertainment options. Free shuttle buses serve golfers and visitors from around the world. 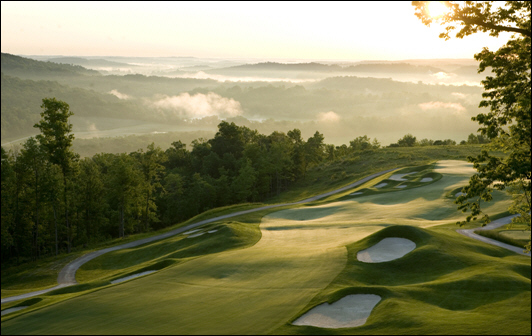 Visit FrenchLick.com. About the Symetra Tour: The Symetra Tour - Road to the LPGA is the official developmental tour of the LPGA and concluded its 36th competitive season in 2016. With the support of its umbrella partner, Symetra, the Tour’s mission is to prepare the world’s best young women professional golfers for a successful career on the LPGA Tour. Since Symetra’s inaugural sponsorship year in 2012, the Symetra Tour has grown from 16 tournaments and $1.7M in prize money to $3.5M in prize money awarded over the course of 23 tournaments - the most events since 1988. With more than 600 alumnae moving on to the LPGA, former Symetra Tour players have won a total of 418 LPGA titles. Follow the Symetra Tour on the web at SymetraTour.com.